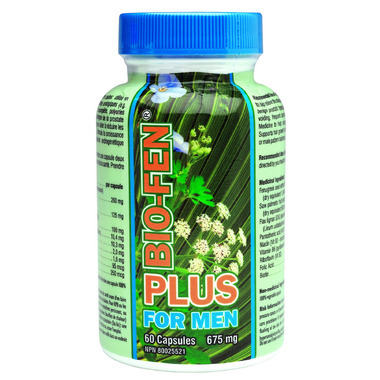 Bio-Fen Plus for Men has been formulated to stop hair loss and support hair growth in men with hereditary male pattern baldness. This product is an all-natural, 100% safe alternative to expensive, synthetic drugs that can harm your body. It has been specifically formulated to get to the root of the problem, restore your natural hair cycle, and give you a full head of natural, healthy hair. Don’t let age or genetics get in your way, restore your hair to its former glory! Helps form red blood cells and helps in their proper function. Recommended use: Take one capsule twice a day with food for the first three months. After then, take one capsule with food as a maintenance dose or as directed by a health practitioner. 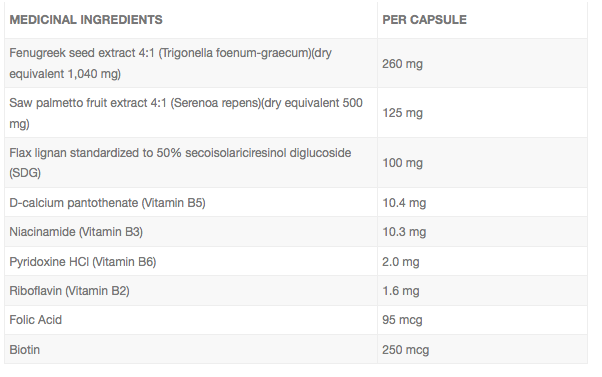 Non-medicinal Ingredients: colloidal silicon dioxide and vegetable-based magnesium stearate in a veggie-based capsule. Consult a health care practitioner if you have diabetes.